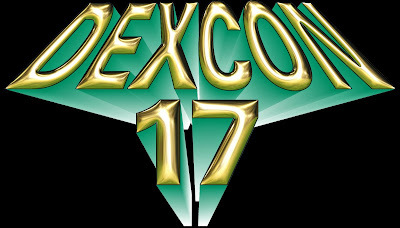 Two weeks from today City Hall will make its first convention appearance with demos and a tournament at DexCon. Because I am so giddy at my first game debuting, there will be a $100 prize for the winner. The tournament will be two rounds. The first round's heats will be Thursday evening and Friday Afternoon. The final round will be Friday evening. Full details below. Finally in print, DEXCON is proud to present the FIRST annual U.S. National Championship for this great game from Visible Hand Games! Players activate various offices in City Hall and then bid influence against those offices to control how they affect the city's development. Players must choose wisely when to accept an opponent's bid, trading the ability to do something now for the ability to do something bigger later. Players may play in either or both of the two preliminary sessions, but may only qualify once. The winners at each table will advance to the final round to play for the U.S. National Championship title, a $100 prize offered by Michael Keller and a trophy! I'll also be getting a demo table where I'll spend most of my time. I'll have protos for Captains of Industry and FCOJ (and maybe one new thing) with me for pickup games, but they aren't on the schedule.